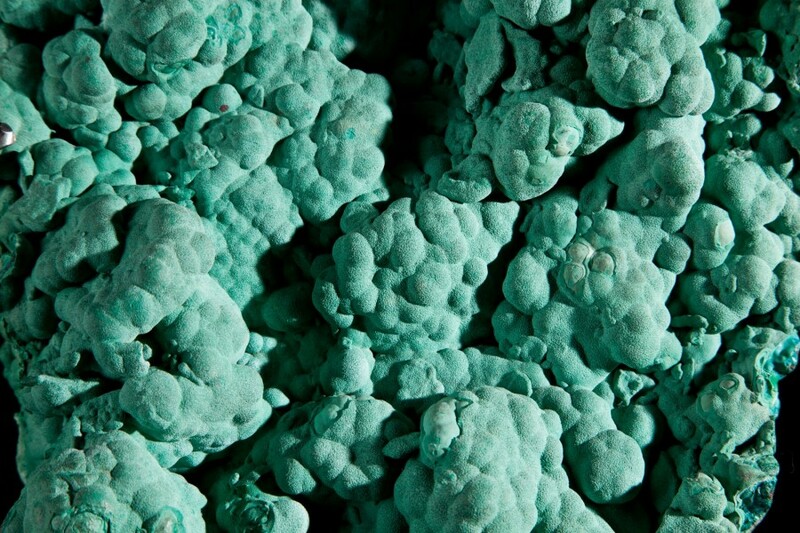 A Copper Carbonate whose oxidation gives the distinctive green named after the similarities it shares with the Mallow plants leaves. 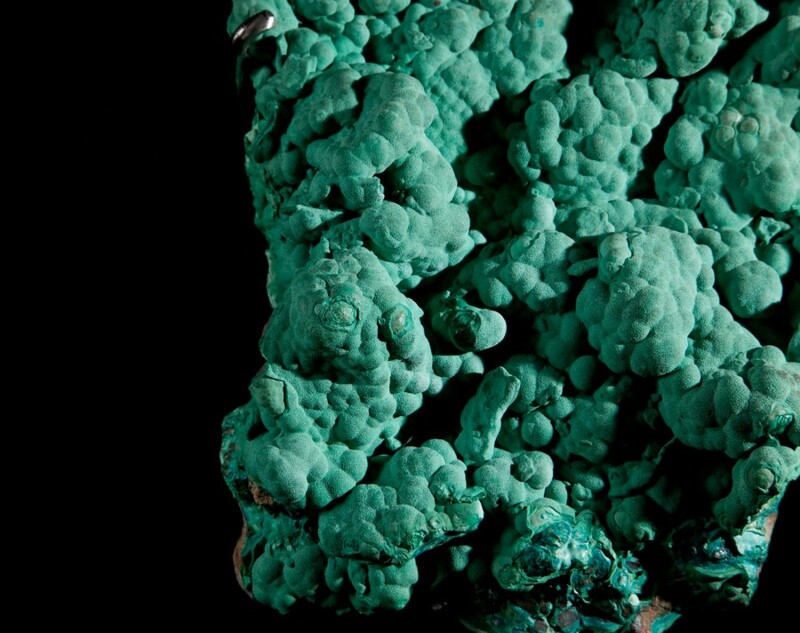 Malachite has been mined for over 3,000 years and used to be an ore to extract copper from. These days, however it is purely ornamental. 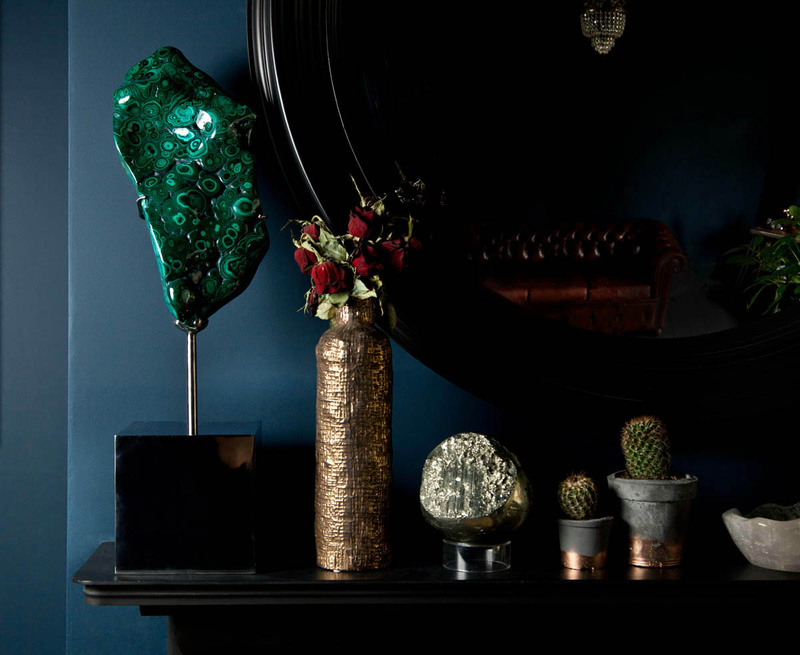 Used as a green in artist paint pigments and especially in Russia carved into ornamental columns and extravagant vases. 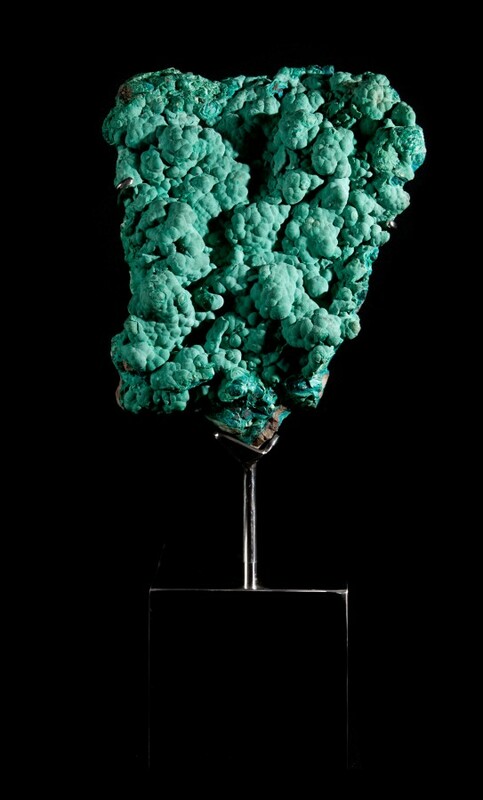 Examples of which can be found in the malachite room of the Winter Palace, now known as the State Hermitage museum in St Petersburg. 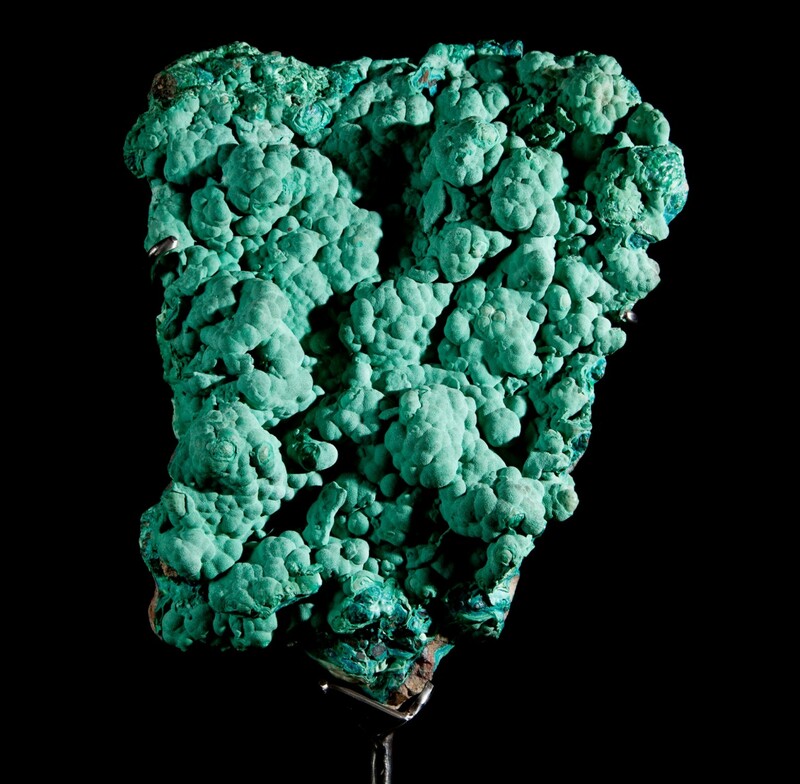 This unpolished version is a great monument to its past as a container of Copper.